The Future Laboratory cited Louis Vuitton's 'open House' event that invited more than 100,000 people behind the doors of its artisans to show how its products and brands are made, and Burberry's collaboration with Claridges hotel in London to provide its signature trench coats for guests to use throughout their stay at no cost, as examples of brands providing different kinds of experiences beyond purchases. The Australian luxury market is “nuts” according to The Future Laboratory. The proportion of high net worth individuals in Australia is growing faster than almost anywhere in the world which means a big opportunity, but there are big shifts ahead as customers get younger and their needs change. Currently most luxury products are bought by people over 50, but in the next decade there will be a significant “down-aging”. millennials, or Gen Yers, who reached adulthood around the year 2000 will outspend boomers in 10 years. Boomers currently hold 40% of Australia's personal wealth, but that will shift. There are currently 4.2 million millennials in Australia – 20% of the population – and more than half are university educated which means they are likely to be higher spenders. Luxury brands must realign and refocus their marketing efforts, “recalibrate” how they think about younger consumers and “wrap their brands in experience,” if they want to stick around. That's what Chris Sanderson, co-founder of London-based consultancy The Future Laboratory told some of Australia's biggest luxury brands at an event hosted in Sydney last week. He said: “Millennials are on the brink of becoming the most important market for Australian brands. [Ask yourself] am I thinking about the clear differential in age marketing, understanding that they are different in temperament, thinking and sentiment. Can I ride the luxury youth wave?”. Chanel recently launched a youth-focused store in London's Covent Garden selling its cosmetic ranges as part of its efforts to tap into the millennials market, something other brands can follow. Digital and mobile are part of that trend. “Let no one tell you you can't buy or sell a luxury product on a mobile phone,” said Sanderson. “Regardless of where we live mobile is driving through retail for many of us and understanding how an emerging and mature luxury market is increasingly wanting their luxury on the move is crucial,” he added. While there is an assumption that consumers are unwilling to spend big on mobile, The Future Laboratory says that's not the case. It claims 72% of luxury shoppers who buy on mobile say there is no upper limit to how much they spend. Mr Porter, Net-a-Porter's men's site was recently selling GBP20,000 watches online and mobile, with no problem. 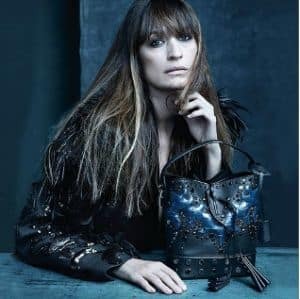 Louis Vuitton Australia CEO Philip Corne told AdNews luxury brands avoid digital “at their peril” adding that it is without question becoming a greater part of its marketing mix. However he warns against a knee-jerk reaction saying that Luis Vuitton's success in its 160 year history has come from “consistency” and that is no different now. Building more experiences into brands is also key for the luxury market. Sanderson claimed eight in 10 people prefer spending money on experiences than on owning the best brands – something luxury brands should bear in mind. “Experience in luxury has tipped over to become the pre-eminent spend. People want more experiences than product and product is becoming secondary. It's a challenge because the luxury marketer is still geared around product. There's the conundrum: how do you make more of the experience when what you want to do is sell more handbags?”. Australia is the sixth largest luxury market in the world and is growing 2% above the global average. Boston Consulting values the luxury goods market at USD1.8 trillion.